Imaginative writers are always looking for new and exciting ways to showcase their literary talents. With the advent of print on demand (POD) and self-published books, a fascinating wave of innovation has found its way onto the public’s bookshelves – the creative cookbook. Make no mistake - this isn’t your grandma’s recipe-filled prescription for cakes, pastries, and pies. The creative style of cookbook interweaves ingredients with all kinds of prose, including poetry, short stories, sayings, cartoons, and remembrances. As a creative writer, you may never grow rich off of the sale of creative cookbooks. 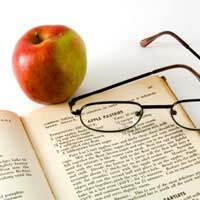 Nevertheless, if you’re the type of person who enjoys writing with a purpose and can stay focused on a long-term task, a cooking manual that encourages the reader to visit each page (rather than just flip through it when he or she needs to know how to make cinnamon-almond scones) could be a delightful outlet for your unique musings. A Travel Cookbook – Recipes that have been collected during people’s holidays. You could ask for recipes and stories from your family, friends, acquaintances, or even strangers (such as via a website blog). Each recipe or group of recipes would be accompanied with a description of a journey taken by the contributing individual, perhaps with photos as well. A Pet Lover’s Cookbook – Recipes with animal themes, such as hot dogs, catfish, horseradish, et cetera. This type of cookbook could make a great fundraiser for an animal rescue group. Each recipe could be “in memory of” or “in honour of” the contributor’s pet. Witty, sweet, and sentimental pictures, stories, and poems could adjoin each list of ingredients. A Cookbook by Kids – Recipes that the children in your extended family adore. Next, you may need to think a little “small.” If you’ve never written a book before and/or you don’t have a culinary background, you may have difficulty convincing an agent or publisher to take a chance on your cookbook. Unless you’re prepared to knock on many, many doors, you may want to self-publish your cookbook and simply use it as a springboard for future endeavors, personal gift-giving, or local charity fundraising. Remember – there’s nothing wrong with just writing a cookbook to have fun. After all, part of the magic of cooking or baking is in its innate entertainment value for the writer, the reader, and the eaters. If it’s not too long and you’re only planning to print off a few copies, you may want to do it yourself at home and then have the book bound at a local office supply store. On the other hand, if you’re planning on selling it to benefit an organisation in your community, you may need to get mass printing prices to compare. Just make certain that you only print what you know you can use; if you get too many extras, they could wind up in boxes strewn throughout your home. Finally, when you have your exciting, creatively written cookbook in hand, give yourself the freedom to smile. Enjoy your “baby” and don’t fret about any after-the-fact flaws (how could I have printed “rec” instead of red?) No doubt the recipients of your unique food guide will be thrilled to explore its pages, both for the recipes and the tightly written, engaging text. It’s a cute idea, and with e-publishing so easy these days, anyone can put out a cookbook. The problem comes after you publish – how do you make people aware of it? You can’t rely completely on word of mouth – and that’s where the change begins, no matter how good your cookbook. It’s worth thinking about marketing even before you write.